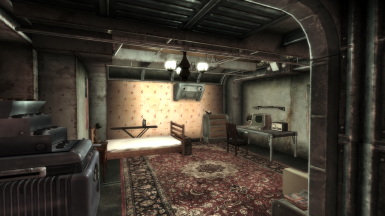 Hey guys, I released another vault player-home... this time for NV. Check it out if you want. Have you considered making a TTW compatible version? 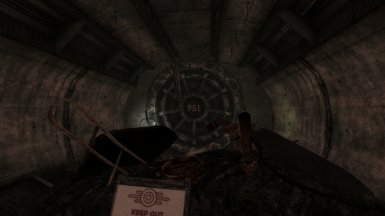 I did actually try installing this mod in New Vegas just to see what would happen, it did show up on the map screen, but the vault of course wasn't there. Oh gosh, if I knew how I would. Well if you ever do make one for TTW, then I'll be sure to download it. One thing I noticed about your bobble head script... if you still have the Megaton house, you can't display bobble heads there. It will take the bobble head, but will not display the image of it. Not sure what the problem is, as there is no noticable conflict in FO3Edit. Also, it seems that your bobble head display puts the bobble heads out of their normal placement order on the stand. 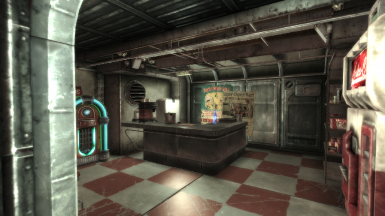 I released a new version of this mod which fixes the bobblehead stand, and also the robot vendor now has more caps for trading. Sorry for the delay, if anyone finds anymore bugs I'll try to get to them a little quicker. Great, I'll check it out. One thing you may want to consider also. Changing the world space, I think it's under... so that the cinematic music stops playing when you enter the vault. Can become quite annoying, when all you want is some quiet. You're awesome. This is now officially my new player home. Cool little mod, downloaded and possibly endorsed when I check it out. 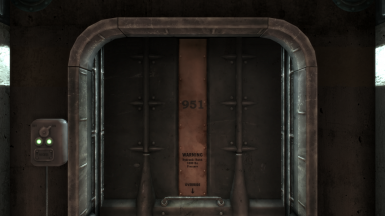 Vault 951: Designed to make people who have Obsessive Compulsive Disorder, constantly driving them crazy by telling them that this was the final vault, and broke the numerical line of vaults. Fantastic! This little gem is going into my "must load" mod folder. It's perfect and fits in nicely with the lore. Nice damn job robot dude. Dang man posted something every time you thought of something. There's nothing wrong with that! I appreciate the feedback. 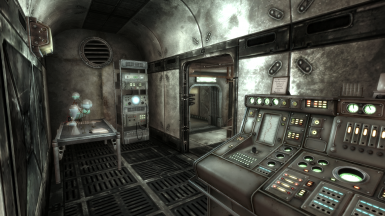 As for the mod, I really love the image space you choose to setup those cells, love this brownish lighting, looks very realistic. 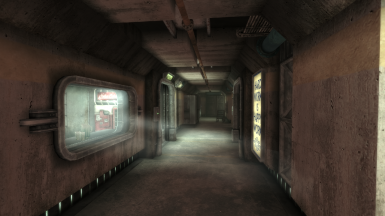 I was surprised to take some radiation at the entry though. 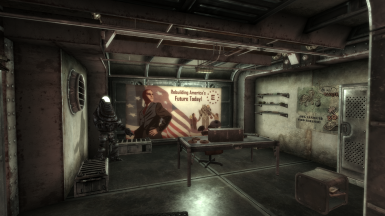 Good idea, I think it's the first time I saw somebody who thought about that... it's the wasteland after all. Love the idea of the robot merchant too, I would have appreciate a little more caps but.. The only think I wish you had been able to do is for the bubblehead stand. 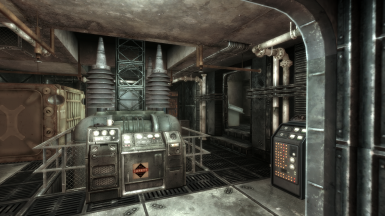 I know there is a script out there that made them show the ones you already collect and put on the one in the megaton house. I don't know if it is too much to ask but if you can make a version with that script it would surely be appreciate here. Thanks, I appreciate the feedback. I recently moved onto the Creation Kit, but I'll look into that script for you. In all honesty you may find yourself going back to Fallout 3 because 3 is better than 4 to be honest. Way, way more depth to 3 than there is 4. Oh man... I can't use the bobble head stand. Make sure I drink some rad x next time I go home. HaHa !! Can you please tell me exactly where the entrance is located to this player home? I see the map marker, but I think my Bus World mod may be conflicting with this mod. If your entrance is a manhole in the middle of the street, by the bus stop... Bus World places a bus right on top of it. Update: Found it !! FYI: This mod plays nice with Bus World, so no worries people.